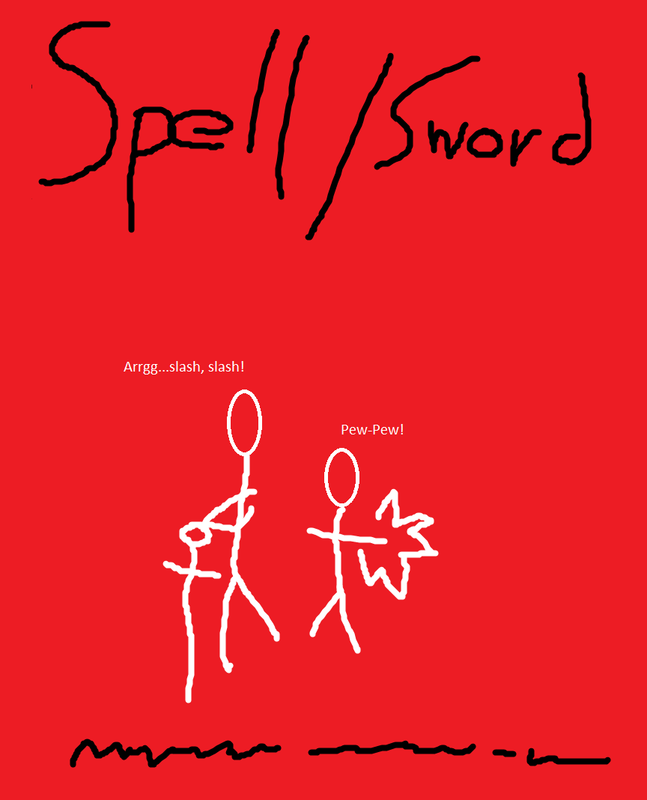 [Just playing around with some text – potentially for the back cover of Spell/Sword. As a young nerdling I used to spend quite a lot of time in bookstores and libraries. I’d spend hours reading the inner jacket, and the back of every book — deciding if it was what I wanted to read next. In bookstores most of all, five bucks for a new paperback was a serious investment. Of course, I immediately became a critic. I was flabbergasted at how many ‘back cover summaries’ were totally misleading, and were clearly written without the author’s knowledge. I was still a little too young to understand about marketing, publishing, etc. What? You want me to print it? Is there a special message in your scrawl at the bottom? I said ‘seriously’ because it would be awesome if you wrote a masterpiece and put a cover like that on it. Because, in the end, that cover says it all, doesn’t it? But then, to prove their theory, they would open it up to the first page and their mind would be blown away by the majesty of your story. Ha — we can only hope. I was more saying that the cover has been approved by my peers, and is ready for print.